GREYE, is labeled a Progressive Indie/Rock band from Daytona Beach, FL. 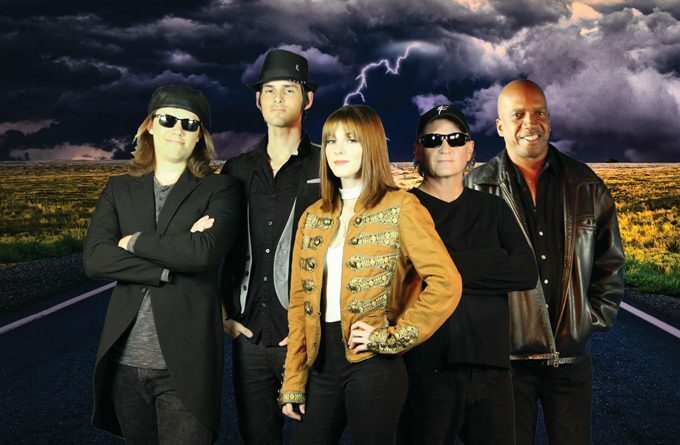 The group is comprised of four core members: Hannah Summer (vocals and guitar), Jett Wolfe (guitar and vocals), Josh Reid (bass), Ray Grimard (drums and percussion) and Ken-E Williams (keyboards). 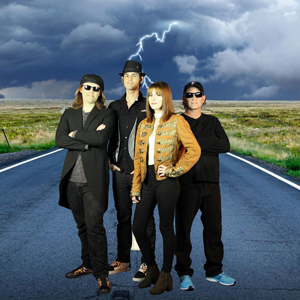 The band released their debut album, “Providence”, in 2014, and found themselves in heavy radio rotation across the globe as well as being invited to play the 2015 Key West Songwriters Festival. They have since rocked many prestigious festivals and events. Hannah Summer was also the Songwriters Showcase of America’s 2014/15 “Songwriter of the Year.” GREYE have gone onto recording 4 more albums, with their 5th and latest being “Under The Weather”. The 10 track collection was recorded at the world famous FAME Recording Studio in Muscle Shoals, AL, and mixed by multi-platinum engineer Brian Reeves. This is genius, pure and simple. Deep mystic voodoo grooves crafted by art-rock types with Americana storytelling. Very intellectual and biting; modern and yet timeworn in the raw power behind the music. These guys and a girl just have such a fresh sound that pulls you in and hypnotizes with you with their rhythms and vocals. “Under The Weather” is mastered beautifully, the highs are crisp and clear, the bass is low and heavy and it’s mixed at a very reasonable volume where you don’t have to adjust anything between songs or max out your speakers to actually hear it. GREYE kills it on every song. These songs have powerful crescendos that build as the track progresses. There are deep, layered rhythms, and unique lyrics. The band has excellent and talented musicians. There is nothing out there quite like them currently. Despite the pressure on their new record to live up to the hype, the band manages to ride the wave of expectation with impressive ease to deliver a slick effort. 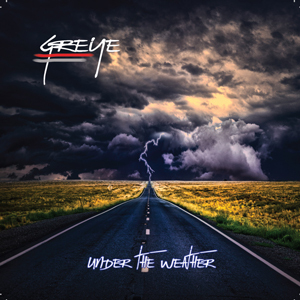 It is hard to argue with the ambitious kaleidoscopic and organic approach of GREYE on “Under The Weather”. Those who bet on this outfit becoming The Next Big Indie Band after their debut should surely be very smug indeed now; they’ve always had excellent tunes, but GREYE previously lurked in the background, looking on rather than diving into the fight. But now they’re on the cusp of acquiring genuinely massive appeal. From the opening track, and lead single, “What If I”, GREYE dive into the arena, toying with structures and themes, and never look back. It’s lush and varied, with all the quirks and signature twists that makes the band’s sound, but it’s boosted by a confidence in their own distinctiveness and a desire to explore the genres around them. Feeding off the energy of “Need” and “Under The Weather” allows for the group to venture out and let their curiosity run rampant. The bass is heavier, drums punchier, and the words are a lot clearer – you can belt along choruses rather than mumble along. A rich tapestry of life experience has influenced the album’s ideas and direction, both lyrically and musically. Despite retaining an air of cryptic mystery on “Crusade” and “Josephine”, the lyrics are accessible and is easy to decode. It’s a bombastic blitz of drums, guitars and sassy smirks, shot through with Hannah Summer’s edgy swagger. “Get Back In It” is rife with GREYE-isms – immense vocals, jangly and soulful guitar fragments, funky textures – and “Tarot” is closer to the band’s misty roots rather than their dazzling future, but the slow-burning swing of “Let’s Straighten It Out”, the freak-out riffs in “Changes”, and “Inferno’s” spiraling mayhem all prove that GREYE have plenty in the chamber to keep us guessing. The last memory of the album “Under The Weather”, is pure brilliance, and you’ll feel compelled to revisit the record every chance you get. And each listen will reveal more, scrape back yet another layer. You’ll get more and feel more each time you hit play on this record.